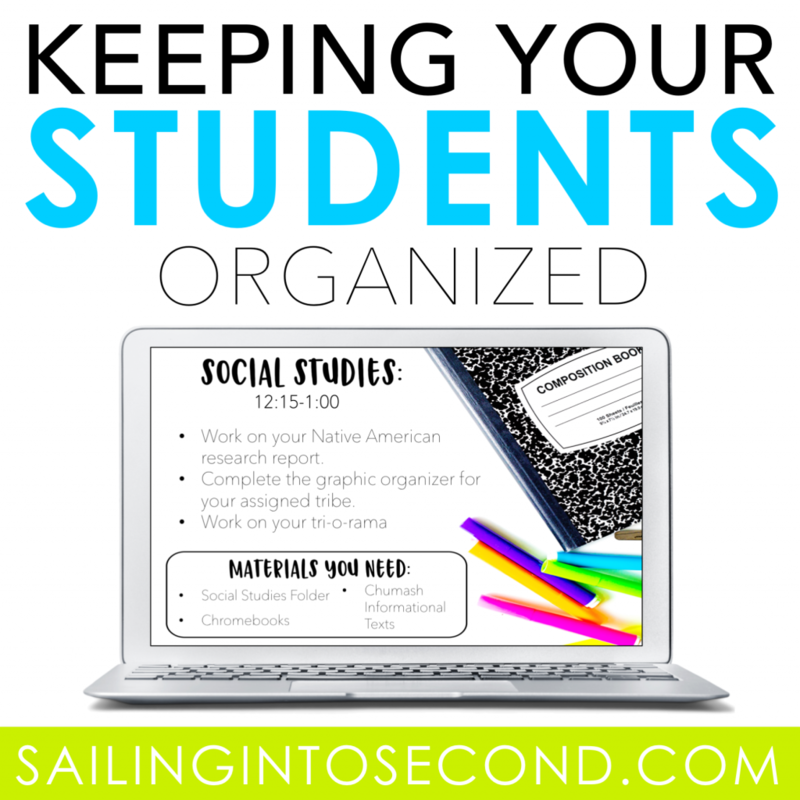 Do you struggle with keeping your students organized throughout the school day or during a lesson? Do they have difficulty figuring out what materials they’ll need? I see you nodding your head and believe me, I’ve been there before. It wastes precious instructional minutes, but it doesn’t have to be so challenging for your or your students! Today I’ll be sharing an SIMPLE and effective way to keep them on track without you having to repeat yourself 100 times! I love to use technology to make my life a little easier. That’s why I like to display our class agenda or schedule on our interactive white board. 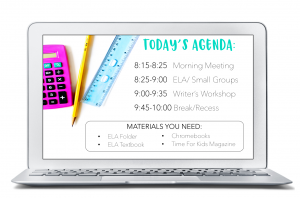 Students can quickly see what we have planned for the day and any important materials they’ll need. You can see a sample slide below that outlines our morning agenda and the materials my students will need for those tasks. Studies prove that breaking down tasks into smaller, more manageable steps, helps students that have organizational difficulties. It makes them less scary. Students can take ownership of their learning and organization and feel less overwhelmed. 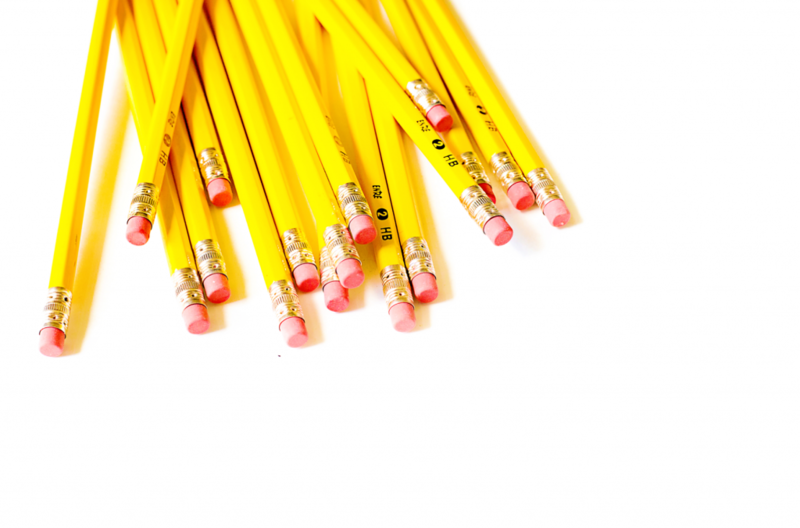 By giving your students clear and explicit instructions, it helps set them up for success! You can even use student instruction slides for each subject or lesson. It’s a great way for students to stay on task and look back at any directions or instructions you gave at the beginning of the assignment or lesson. Below is another example of how to use the Google Slides™ subject by subject. 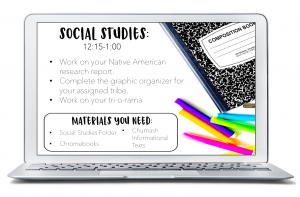 Would you like to use a slide template with your class to help them stay organized? Just drop your name and personal email address in the contact box at the end of this post and I’ll send it over to you right away into your inbox!